Contract administration software (for owners) is often confused with construction management software (for contractors) and this confusion means civil engineers don’t realize there’s a better way to do business—one that saves time, money and increases productivity. 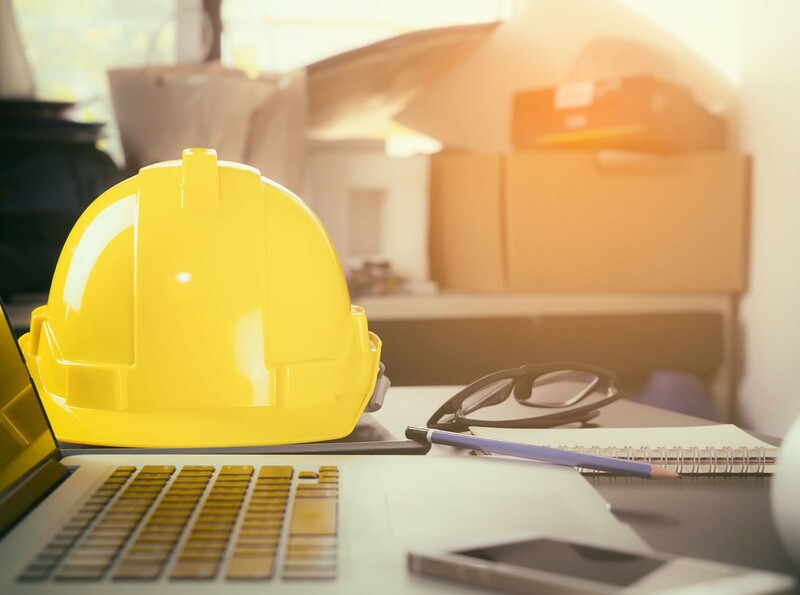 Autodesk BIM 360, Aconex, Fieldwire, B2W, Procore, PlanGrid are all leading construction management software tools designed for construction managers. Contract administration software like Builterra is designed exclusively for infrastructure owners and the civil engineers who work for them. To put it simply, when an engineer adds the “Issued for Construction” stamp to a set of drawings, that’s where the owner's contract administrators get started on the project and at that point, contract administration software like Builterra can standardize and streamline key workflows. The Contract Administration process happens in every infrastructure design and construction department of every town, city, region or county. Its purpose is to oversee and monitor the various tasks of delivering an approved design. The services provided by the contract administration team encompass mobile inspection workflow, document management and construction progress tracking. 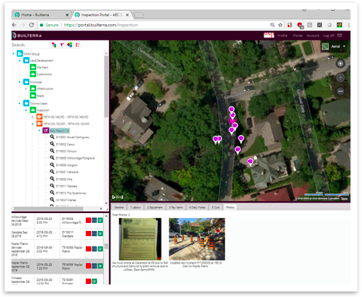 Builterra was developed for the owner’s inspection team; or the engineers they hire, to oversee the construction contractors who are actually building the project. Builterra standardizes, streamlines and connects the entire contract administration workflow from cost estimating and bid preparation through to field inspection and progress payment reporting. You can begin using Builterra at any stage in the contract administration process and as early as design quantity takeoff and cost estimating with the Builterra Design Connect extension for AutoCAD Civil 3D. 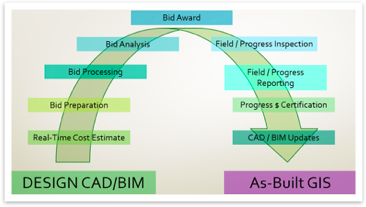 Bid preparation, processing and analysis uses the same pay item data extracted from CAD or BIM, imported from Excel or just dragged and dropped from the standard municipal catalog stored in Builterra. Specifications and standard documents are all linked to pay items being used in the bid schedule of unit prices. Once the bid has been awarded, the field inspection team has direct access to those same awarded bid items. Inspectors typically use a combination of paper notebooks, photos from their phones and Excel or Word for logging all daily activity onsite to create a daily progress report for the owner. These disjointed data collection methods mean inspectors are often working an extra hour every day to consolidate information (add even more time at month’s end). Builterra’s mobile app gives inspectors working for the owner the ability to log all the daily activity onsite (weather, geo-location, station, labour, equipment, materials, testing, visitors onsite, remarks, etc..) in real-time. Inspectors submit data during the day through the Builterra app and a properly formatted daily report is automatically generated—without the inspector ever having to touch Excel or Word. With Builterra, contractors automatically receive the daily report via email for review and approvals. Progress tracking is based on actual inspected items in the field with a dollar value. At the end of the month, all daily progress reports, photos, drawing markups, change orders, extra work items, etc. are automatically compiled to create a monthly report and a payment certificate is issued for approval. Because bid items automatically translate to actual inspected items, reports are accurate and payments can be issued quickly. With Builterra, everyone wins. 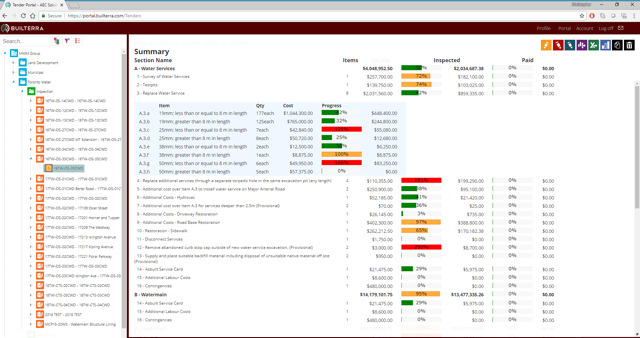 Figure 2 - Typical Progress Dashboard showing dollars inspected for each Bid Section and Bid Item. Progress reports are generated in Excel for payment approvals. Builterra is contract administration for the built environment. If you’re an owner or engineer, you should now realize a platform exists with the features and functionality you need to track exactly what’s happening, from cost estimate to payment certificate. You now have a platform designed around your job functions that gives you control over part, or ideally ALL, of the contract administration process. And at the end of the day, the construction manager and the contract administrator both have software that makes their jobs, and their lives, that much easier. With over 20 years of experience in the municipal and land development sector, Jeff Lyons is dedicated to creating innovative civil engineering software solutions. As a founding partner and Director of Platform Innovation at Builterra, Jeff is a sought-after instructor and guest speaker who regularly engages with clients and associations to share insights that drive the industry forward. Jeff received his diploma in mining engineering technology from the Haileybury School of Mines (Northern College), and his diploma in geological technology (geophysics) from Sir Sandford Fleming College.